Registration is now open for Hack My Ride: VTA's Transportation Idea Jam​! This hackathon will convene programmers, developers, artists, technologists, data analysts, commuters and transit users to imagine how enhanced technology and tools could help transportation work better in Silicon Valley. Participants in the October 25 and 26 event at the Tech Museum of Innovation in downtown San Jose will be challenged to develop innovative software, technology, prototypes or proofs of concept that would improve the transit experience, increase transit use, or solve transportation and mobility challenges. Participants will consider all areas of transportation, not only public transit but also walking, cycling, car sharing, paratransit, and traffic congestion more broadly. Thank you to The Tech Museum of Innovation, Code for San Jose, Joint Venture Silicon Valley, the City of San Jose Department of Transportation, SPUR San Jose, Mapbox and AmigoCloud for joining VTA in supporting this event! The event will be limited to 100 participants with a diverse set of skills. Registration at hackmyride.eventbrite.com is required, so if you're available for both days (see the schedule below) please register for the appropriate ticket to reserve your seat. If you won't be able to be present the whole time, there will be other opportunities to collaborate with VTA. Please only reserve a seat if you're sure you can participate fully. Spread the word by sharing this with your network on social media, at your company or with any coding and developer groups you belong to! 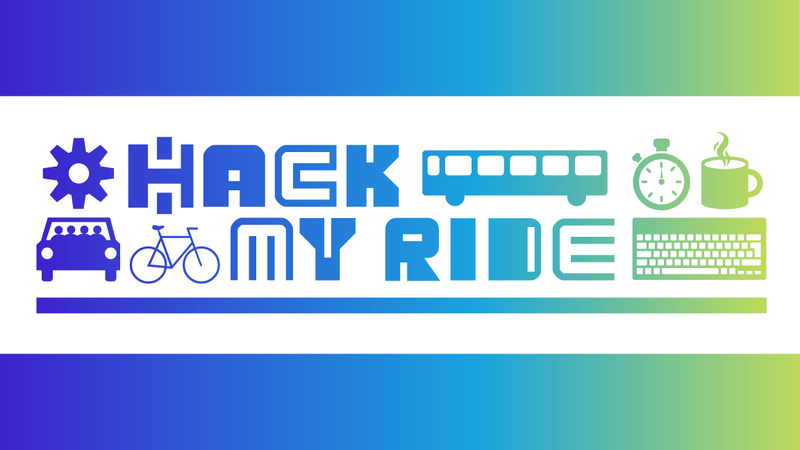 Subscribe to updates about Hack My Ride and follow VTA on Facebook or Twitter for updates about the event. 1 p.m. Collaboration + Hacking. Prepare presentations.